Opinion: The Greens community spokesperson, Senator Rachel Siewert, told a National Press Club forum this week that it was her job to keep the issues of the Not for Profit sector at the forefront of policy reform and to help protect Australia’s most vulnerable. Here she explains the Green’s election pledge to the sector. Our social safety net no longer meets the needs of the community. Poverty, growing inequality, the changing nature of work, constant cuts and payments falling further behind the cost of living means we need a new safety net; one fit for the 21st century. Everyone deserves fair access to social services. Fair-minded Australians, if asked, would agree to that statement. Despite this, I have watched successive governments erode our social safety net designed to support people when they need it. In my 11 years in the Senate, I have watched services and support to some of the most vulnerable people cut just to balance the books. Single mums who have been pulled off parenting payment, the elderly who will feel the pinch from upcoming cuts to the aged care sector, people with disability who are being reassessed for the Disability Support Pension under harsher criteria, cuts to Family Tax Benefit, job seekers stuck on a payment that desperately needs to be increased – the list goes on. All of these people have been at the brunt of the old parties that use the vilification of people on low incomes or income support to make savings. No one is really exempt from these cuts if you are a vulnerable person turning towards our safety net for help. Last week, in a race to the bottom, the Labor Party announced that they will not be reversing a suite of cuts to vulnerable groups announced by the Coalition in recent budgets. Websites in opposition to the cuts were pulled down, we were told that circumstances had changed, that now we could not afford to reverse certain parts of a disastrous budget that hurt so many. The Coalition and the Labor Party believe it is politically the easiest route to find savings from people who are already disadvantaged rather than those who wield power. To take from the poor rather than the wealthy. The Greens firmly believe it doesn’t have to be this way. On the same day that Labor announced harsher policies, the Greens announced a fully costed package that would ensure our safety net was strengthened. Our vision for a 21st century social safety net includes investing $25.5 million into an equality commission to give independent advice on our income support system and measures to address inequality. We also committed to implementing a national anti-poverty plan. Far too many people are living in poverty in Australia. As well as planning for the long term to improve our social security system, we need to act now to increase key payments. We would increase Newstart by $55 per week, bringing it up to an acceptable level that will help reduce poverty. For far too long governments have ignored the plight of people trying to survive on Newstart. The Greens aim to address that. The Greens would also move single parents back onto Parenting Payment Single. Right now many Australians don’t have access to critical social services. In addition, funding cuts by the Coalition government means this situation will get worse. 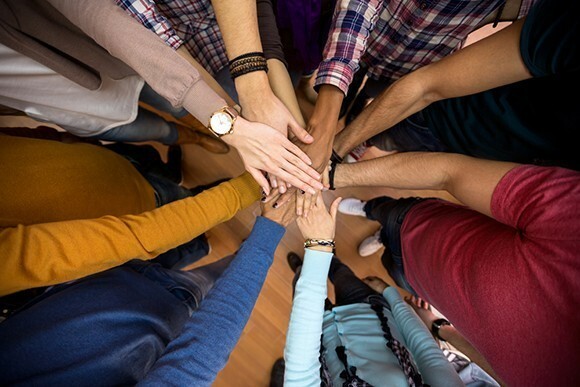 Many readers of Pro Bono Australia News are hardworking service deliverers who know that frontline services are patchy at best and under-resourced. A $504 million increase in community services over four years aims to guarantee access to services where and when people need them. Every Australian should feel safe in the knowledge that community services will be there for them when they need them. Housing affordability continues to be a huge issue, we want to see struggling renters get a 30 per cent increase to Commonwealth rent assistance. The Greens will provide increases to those who are most in need, fighting poverty and inequality. Investing to reduce inequality is investing in our future. Poverty can impact on a wide range of outcomes, including education, health, employment and many other aspects of full participation in society. The Greens believe we can make things fairer and reduce inequality into the future. Senator Siewert took part in the Community Council for Australia’s forum at the National Press Club in Canberra on Tuesday on the future of the Not for Profit sector alongside the shadow assistant treasurer, Andrew Leigh and the Coalition’s ACT Senator Zed Seselja. 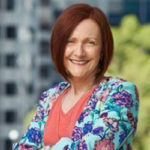 About the author: Greens Senator Rachel Siewert was first elected to the Senate representing West Australia at the 2004 election and commenced her term in July 2005. She was re-elected for a second term at the 2010 federal election. Siewert is the Australian Greens whip, chairs the Senate Community Affairs References Committee and is a member of the Expert Panel on Constitutional Recognition of Indigenous Australians. Note: All major political parties have been invited to provide election comment to Pro Bono Australia News. Next week, shadow assistant treasurer Andrew Leigh will explain Labor’s position.